It raised 48 infantry regiments, 20 artillery batteries, and over 20 cavalry regiments for the Confederacy, mostly serving in the Western Theater, though the 3d Arkansas Infantry Regiment served with distinction in the Army of Northern Virginia. Major General Patrick Cleburne was the state’s most notable military leader. The state also raised four infantry regiments, four cavalry regiments and one artillery battery for the Union. Finally there were six infantry regiments and one artillery battery of United States Colored Troops raised in Arkansas. News of John Brown’s Raid in Virginia in 1859 had spurred a renewed interest in the state’s militia system which had been virtually dormant since the end of the War with Mexico. Like most of the United States, Arkansas had an organized militia system before the Civil War. State law required military service of most male inhabitants of a certain age. By August 1860 the state’s militia consisted of 62 regiments divided into eight brigades, which comprised an eastern division and a western division. New regiments were added as the militia organization developed. Additionally, many counties and cities raised uniformed volunteer companies, which drilled more often and were better equipped than the un-uniformed militia. These volunteer companies were instrumental in the seizure of federal installations at Little Rock and Fort Smith, beginning in February 1861 before Arkansas actually seceded. Abraham Lincoln‘s victory in the presidential election of 1860 triggered South Carolina‘s declaration of secession from the Union. By February 1861, six more Southern states made similar declarations. On February 7, the seven states adopted a provisional constitution for the Confederate States of America and established their temporary capital at Montgomery, Alabama. A pre-war February Peace Conference of 1861 met in Washington in a failed attempt at resolving the crisis. In response to the Governor’s message, militia companies began assembling in Little Rock by February 5, 1861, and they made their intention to seize the Arsenal known to its commander, Captain Totten. Eventually more than a thousand militiamen would assemble, representing Phillips, Jefferson, Prairie, White, Saline, Hot Spring, Montgomery, Monroe, and St Francis counties. Although generally opposed to secession, the Little Rock City Council feared that a battle might ensue within the city itself and passed an ordinance requesting the Governor assume control of the assembling volunteer forces and to seize the Arsenal “to prevent the effusion of blood”. Governor Rector, now armed with the city council’s request, took control of the military situation. With militia forces now surrounding the arsenal grounds, Governor Rector dispatched General Thomas D. Merrick, commander of the First Division, Arkansas Militia, with a formal demand for the Arsenal’s surrender. Captain James Totten, Arsenal commander, agreed to evacuate the Arsenal in return for safe passage out of the state. Governor Rector agreed and the Militia took control of the Arsenal on February 8, 1861. Later, artillery batteries were set up at Helena on the Mississippi River and Pine Bluff on the Arkansas to prevent reinforcement of Federal military posts. On March 4, 1861, Lincoln was sworn in as President. In his inaugural address, he argued that the Constitution was a “more perfect union” than the earlier Articles of Confederation and Perpetual Union, that it was a binding contract, and called any secession “legally void”. He stated he had no intent to invade the Southern states, nor did he intend to end slavery where it existed, but that he would use force to maintain possession of federal property. His speech closed with a plea for restoration of the bonds of union. The area of slavery must be extended correlative with its antagonism, or it will be put speedily in the ‘course of ultimate extinction.’… The extension of slavery is the vital point of the whole controversy between the North and the South… Amendments to the federal constitution are urged by some as a panacea for all the ills that beset us. That instrument is amply sufficient as it now stands, for the protection of Southern rights, if it was only enforced. The South wants practical evidence of good faith from the North, not mere paper agreements and compromises. They believe slavery a sin, we do not, and there lies the trouble. But it soon became evident that a majority of the delegates to the convention did not think that the situation at that time called for secession. The convention voted down a resolution condemning Lincoln’s inaugural address, and defeated a conditional ordinance of secession. The opinion seemed to prevail that Arkansas should secede only if the Federal government made war on the Confederate States. Still hoping for a compromise settlement that would avoid war, the delegates agreed to go home until after the people had voted on the secession question at a special election to be held in August. The first Arkansas secession convention had pledged the state to “Resist to the last extremity any attempt on the part of such power (President Lincoln) to coerce any state that had succeeded from the old Union”. Now, faced with President Lincoln’s demand for troops, the convention reconvened in Little Rock and, on May 6, 1861, passed the ordinance of secession by a vote of 69 to 1. Future Governor Isaac Murphy was the only “No” vote. The Secession Convention continued to meet and began the process of drafting a new state constitution and ordering the state’s military affairs. Many in the convention were angry with the way Governor Rector utilized the militia to move the state closer to war by seizing Federal installations. As a result, the constitution sought to limit the power of the Governor by limiting his term to two years, rather than four, and vesting authority for military matters in a three-person board chaired by the Governor. The Military Board was to oversee the organization of a state army; to arm, feed, and clothe the troops; and to call out the forces for such military expeditions as might be necessary to defend the state. The Secession Convention also adopted an ordinance providing for the organization of an “Army of Arkansas”. The Army was to consist of two divisions: the 1st Division in the western portion of the state and the 2nd Division in the eastern portion of the state. Each division was to be commanded by a brigadier general. The Convention elected three of its members as commanders of the new army: Major General of Jefferson County (overall commander) Nicholas Bartlett Pearce, a graduate of West Point and resident of Benton County (commander of the First Division), and of Crittenden County (commander of the Second Division). The Secession Convention enacted an ordinance on May 30, 1861, that called upon all the counties in the State to appoint a “home guard of minute men” for local defense, until regular military regiments could be raised and deployed. These Home Guard units were made up of old men and boys who were not eligible for normal military service. Like the militia, the Home Guard units were organized at the county level, with companies being supplied by each township. Arkansas formed 48 infantry regiments and over 20 cavalry regiments and 20 artillery batteries for the Confederate States Army. Most of the troops raised in Arkansas before May 1862 were transferred east of the Mississippi River and would eventually comprise a division in the Confederate Army of Tennessee. All but one infantry regiment and all of the cavalry and artillery units served most of the war in what was known as the “Western Theater”, where there were few battles that were on the scale of those in the “Eastern Theater”. Beginning in 1862, the Confederate States west of the Mississippi River were assigned to the Department of the Trans-Mississippi. All of the new unit raised and organized after May 1862 would remain in the Trans-Mississippi for the remainder of the war. One infantry regiment, the “Third Arkansas”, served in the eastern theater for the duration of the war, thus making it the state’s most celebrated Confederate military unit. Attached to General Robert E. Lee‘s Army of Northern Virginia, the “Third Arkansas” would take part in almost every major Eastern battle, including the Battle of Seven Pines, Seven Days Battle, Battle of Harper’s Ferry, Battle of Antietam, Battle of Fredericksburg, Battle of Gettysburg, Battle of Chickamauga, Battle of the Wilderness, and the Appomattox Campaign. Once Arkansas left the Union in May 1861, the existing volunteer militia companies were among the first mustered into state service and be formed into new volunteer infantry regiments, also referred to as “State Troops”. These new regiments comprised the Provisional Army of Arkansas. In July 1861 an agreement was reached to transfer the existing state forces into the Confederate army. The Second Division of the Army of Arkansas was transferred to the Confederate Army under the command of General William J. Hardee, but before the First Division of the Army of Arkansas could be transferred, it participated in the second major battle of the war near Springfield, Missouri, in August 1861. Arkansas “State Troops” provided the bulk of forces for the Battle of Wilson’s Creek Although the battle was a victory for the Confederacy, the Arkansas State Troops moved back to Arkansas and, after a dispute over transfer to Confederate authority, were disbanded. Most remaining Confederate forces in Arkansas were transferred east of the Mississippi River in the fall of 1861 and spent the remainder of the war serving in that theater. In November 1861, Colonel Solon S. Borland, commanding Confederate forces at Pittman’s Ferry received information regarding an impending invasion of Northeast Arkansas and issued an immediate call for militia forces to reinforce his position. The State Military Board authorized the activation of Eighth Brigade of Militia, and one company from the militia regiments of Prairie, Monroe, Poinsett, Saint Francis, and Craighead counties. The units that responded to this call were formed into three regiments of 30 Day Volunteers. Some of these companies later enrolled in regular Confederate service. The Secession Convention’s and Military Board’s fears of Arkansas troops being transferred east of the Mississippi quickly became a reality. By the end of September 1861 Brigadier General William J. Hardee had transferred his new command of Arkansas troops east of the Mississippi to join what would become the Confederate Army of Tennessee. Arkansas soon found itself virtually defenseless. Governor Rector’s newspaper charged: “The Confederate government has abandoned Arkansas to her fate.” By November 1861 Governor Rector reported that 21 regiments had been raised for the war effort, a total of 16,000 men, and an additional 6,000 men were soon to be in the ranks. Many of the Arkansas regiments organized in the summer of 1861 would serve under General Albert Sidney Johnston at the Battle of Shiloh in April 1862 and would eventually be assigned to Patrick Cleburne’s division of the Army of Tennessee, and the remnants would surrender with that army in North Carolina at the close of the war. General Van Dorn led his new Army of the West into the Battle of Pea Ridge, March 6–8, 1862. The battle was a major defeat for Southern forces in the Trans-Mississippi Theater and led to the loss of northwest Arkansas. Immediately following the battle of Pea Ridge, Van Dorn was ordered to transfer his forces east of the Mississippi River to reinforce Confederate forces in northern Mississippi, near Corinth. Van Dorn’s forces were heavily engaged in operations around Corinth in the summer and fall of 1862. Brigadier General Evander McNair‘s Arkansas brigade of the Army of the West would eventually find itself assigned to the Army of Tennessee, and its remnants would finally surrender with that army in North Carolina at the close of the war. Other parts of the Army of the West and several Arkansas regiments which had previously served at Fort Donaldson and Island No. 10 would find themselves trapped in the Siege of Vicksburg and the Siege of Port Hudson in the summer of 1863. As Van Dorn was leaving the state, Major General Samuel Curtis, the victor of the battle of Pea Ridge, began an invasion of Arkansas in early April. He moved his 17,000-man army back into Missouri to take advantage of better transportation routes and headed east. He established his base of supply at Rolla, Missouri. Curtis reached West Plains, Missouri on April 29 and turned southwards into Arkansas. During the first part of May, Curtis and Steele encountered numerous logistical difficulties. Poor weather, difficult terrain, and lack of consistent resupply slowed their progress. But by May 9, Curtis’ large, but ill-supplied, force had emerged from the Ozark foothills onto flat ground at Searcy. It was poised to strike deep into central Arkansas and seize Little Rock itself as soon as supplies were gathered. Major General Van Dorn left the state, but Brigadier General John S. Roane refused to go with him, declaring that Arkansas troops should be left to defend their state. Van Dorn detached Roane and left him in command of the Arkansas military, but with virtually no organized forces for the defense of the state. Roane approached Governor Rector for assistance in raising new forces. Rector told Roane to stop any troops passing through the state and use them for the state’s defense. 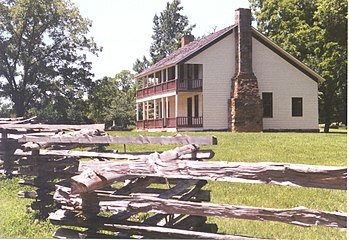 General Roane set to work immediately in cobbling together a defense to meet the approaching Union Army. Roane stopped elements of the 12th Texas Cavalry that were bound for the eastern theaters and ordered troops who had made it as far as Memphis, Tennessee to turn around. Some attempts at recruiting local volunteers were made, but with little success. On May 10, Roane sent Texas cavalry as scouts to determine the federal position. The scouts encountered numerous refugees fleeing the Union Army. The refugees reported that the Union forces numbered about 30,000, mostly German immigrants. Hindman had approximately 1,200 Texas horsemen to confront this force. He ordered cotton stores near Searcy destroyed, and Governor Henry Massey Rector prepared government offices for evacuation. Meanwhile, small advance parties from the Union Army clashed with the Texas scouts between Searcy and Little Rock. On May 19, several companies of the Texas cavalry and a few local Arkansas companies achieved a small, but psychologically important victory over General Curtis’s foraging parties at the Battle of Whitney’s Lane. On May 1, 1862, Governor Rector, realizing that Major General Samuel Curtis‘ army was on the way to capture Little Rock, abandoned the city and moved the state government to Hot Springs, Arkansas. For the first three weeks of May 1862, there was no military or state government in Little Rock. Roane traveled to Pine Bluff and enlisted the help of Arkansas Militia Major General James Yell in recruiting a new Army of the Southwest in the Department of Arkansas. Yell was a “States Defense first” advocate and lent his power to aiding Roane along with Senator Robert W. Johnson, also of Pine Bluff. These three men were the backbone of the newly reconstituted army of the Trans-Mississippi Department. In the meantime, Governor Rector sent dispatches to President Jefferson Davis threatening to secede from the Confederacy unless Davis sent some sort of support. Davis’ answer came in the form of the CSS Pontchartrain and CSS Maurepas, which were dispatched to Little Rock. The state government did not return to Little Rock until the Pontchartrain arrived. A week later, on May 31, 1862, Major General Thomas C. Hindman arrived to take command from Roane and ordered all troops in Pine Bluff to Little Rock. Hindman was dispatched to take command of what had been designated as the Confederate Department of the Trans-Mississippi. When Hindman arrived, Union forces were still moving south from Batesville and threatening the state capitol of Little Rock. Hindman found that his command was “bare of soldiers, penniless, defenseless, and dreadfully exposed” to the Federal Army that was approaching dangerously from the northwest. He set to work and issued a series of harsh military edicts, instituting conscription, authorizing guerrilla warfare and requisitioning supplies for the defense of the State. With the assistance of the Texas troops diverted by General Roane, Hindman commenced a campaign of misinformation designed to mislead Federal authorities about the strength of the state’s defenses. Hindman sent a combined force of Texas troops and newly formed and hastily cobbled together Arkansas units to confront Curtis at the Battle of Cotton Plant, on July 7, 1862. This series of events, combined with harassing tactics, confused the Federal authorities, causing them to fear that they did not have an adequate supply line to conquer the state and they soon diverted from a course towards the capital and instead moved to Helena to reestablish a solid supply line. Through rigorous enforcement of new Confederate conscription laws, Hindman was able to raise a new army in Arkansas in the summer of 1862. Hindman’s tactics had questionable legal authority. The Confederate Conscription Act of April 1862 had expressly forbid the raising of new units through conscription. The intent of the law had been to provide replacements to the existing Confederate regiments in the field for the losses that they had already experienced through disease, desertion and battlefield loss. Hindman’s problem was that General Van Dorn had taken virtually every organized regiment in the state with him to Mississippi. Hindman turned a blind eye to this legal challenge and began aggressively recruiting. To encourage volunteers, Hindman announced that volunteer companies raised before a certain date would be allowed to elect their own officers, as was the custom, while conscript companies would have their officers appointed. Hindman did have a ready supply of experienced officers to help him in his reorganization. In early May 1862, Confederate forces in northern Mississippi underwent an army-wide reorganization due to the passage of the Conscription Act by the Confederate Congress in April 1862. All twelve-month regiments had to re-muster and enlist for two additional years or the duration of the war; a new election of officers was ordered; and men who were exempted from service by age or other reasons under the Conscription Act were allowed to take a discharge and go home. Officers who did not choose to stand for re-election were also offered a discharge. The reorganization was accomplished among all the Arkansas regiments in and around Corinth, Mississippi, in May 1862. During its reorganization, a number of senior officers from the Arkansas regiments east of the Mississippi, such as Colonels James Fleming Fagan, Robert G. Shaver, and Alexander Travis Hawthorn resigned their original commands and returned to Arkansas and assisted Hindman in organizing new units in the summer of 1862. Hindman sent numerous requests for arms back across the Mississippi River. Many weapons were transferred to the Trans Mississippi District from Vicksburg in what became known as the “Fairplay Affair.” A shipment of 18,000 arms were dispatched to Pine Bluff from Vicksburg, Miss. by way of Monroe, La., but 5,000 of those 18,000 were captured on the steamer Fair Play by Union forces, and 2,500 arms were redirected to Major-General Richard Taylor‘s army in Louisiana. Only 11,000 arms made it to Pine Bluff. These weapons had come from the arsenal of eastern Confederate states that had been returned to the state arsenals as the Confederates had re-equipped themselves with the better captured Union arms. Most of the guns were castoffs and unusable weapons from the various state armories which had been returned to the armories after the Confederate armies east of the Mississippi had been re-equipped from the “Battlefield Quartermaster” of Seven Days Battles, Second Manassas and Harper Ferry. The Arkansas secession convention, while drafting the new state constitution in 1861, had shortened the term of office for the governor from four years to two years. This necessitated an election in the fall of 1862. Colonel Harris Flanagin of the 2nd Arkansas Mounted Rifles was elected Governor of Arkansas. After he was recalled from active duty to take office, his administration dealt primarily with war-related measures and maintaining order and continuing government while undergoing an invasion. His administration was faced with shortages of critical items, rising prices, care of fallen soldier’s families, and related problems. Hindman’s aggressive tactics caused complaints that he was ruling by martial law, which led the Confederate government to send Lieutenant-General Theophilus H. Holmes to assume command of the new Department of the Trans-Mississippi. Hindman was retained as commander of the I Corps of the Army of the Trans-Mississippi. Hindman led this new force, composed largely of conscripts, in an attempt to clear northwest Arkansas of Union forces. The offensive ended in defeat at the Battle of Prairie Grove in Northwest Arkansas on December 7, 1862. With the Union base at Helena now secure, Major-General Frederick Steele decided it was time to seize the state capitol at Little Rock. Price, commanding the District of Arkansas in place of Holmes, opposed Steele’s advance with his cavalry forces while strengthening the northern approaches to the city. Clashes occurred at Brownsville, West Point, Harrison’s Landing, Reed’s Bridge, and Ashley’s Mills (or Ferry Landing). Steele ultimately outflanked Price’s defensive preparations by crossing the Arkansas River and attacking from the south side of the river. Confederate forces opposed this attack at the Battle of Bayou Fourche, near the current Bill and Hillary Clinton International Airport on September 10, 1863. Ultimately, Price decided to abandon the city rather than risk being trapped in a siege operation. Confederate forces retreated to southwestern Arkansas and establish winter quarters. Governor Flanagin took the state archives and moved first to Arkadelphia, and then on to Washington in Hempstead County where he set up a new capitol. After the fall of Little Rock, Governor Flanagin ordered out the militia regiments of Clark, Hempstead, Sevier, Pike, Polk, Montgomery, La Fayette, Ouachita, Union, and Columbia counties and directed them to supply mounted companies for new regiments of state troops. This recruiting method succeeded in supplying several new mounted companies that participated in resisting Union General Steele’s Camden Expedition in the spring of 1864. The fall of Little Rock provided the opportunity to create a new pro-Union state government. The next major military action in Arkansas was the Camden Expedition (March 23 – May 2, 1864). Steele and his United States Army troops stationed at Little Rock and Fort Smith were ordered to march to Shreveport, Louisiana. There, Steele was supposed to link up with a separate Federal amphibious expedition which was advancing up the Red River Valley. The combined Union force was then to strike into Texas. However, the two pincers never converged, and Steele’s columns suffered terrible losses in a series of battles with Confederates led by Sterling Price and General E. Kirby Smith at the Battle of Marks’ Mills, Battle of Poison Spring and the Battle of Jenkins’ Ferry. Ultimately Union forces managed to escape back to Little Rock where they basically remained for the duration of the war. With these strengthened units, Shelby was able to seriously threaten vital Union lines of communication along the Arkansas River between Helena and Little Rock, and for a time it appeared that the Confederates would mount a serious attempt to retake the capitol in Little Rock. However, Confederate authorities in Richmond pressured Smith to dispatch some of his infantry to reinforce Confederate armies east of the Mississippi. This caused an uproar among the Arkansas Confederate infantry units and, as a compromise, Smith approved a plan by Price to organize a large-scale raid into Missouri that would coincide with the November 1864 presidential election. Many Arkansas troops participated in the last Confederate offensive operation in the Trans-Mississippi Department, when Price led a large cavalry raid into Missouri in the fall of 1864. Following Price’s defeat at the Battle of Westport on October 23, most of the Arkansas cavalry units returned to the state and were furloughed for the remainder of the war. On April 9, 1865, the 3d Arkansas was among the regiments that surrendered with the Army of Northern Virginia at Appomattox. The remnants of Patrick Cleburne’s division of Arkansas troops surrendered with the Army of Tennessee at Bennett Place near Durham Station, North Carolina on April 26, 1865. The Jackson Light Artillery was among the last of the Confederate troops east of the Mississippi to surrender. The remnants of the Jackson Light Artillery aided in the defense of Mobile and surrendered with the Department of Alabama, Mississippi, and East Louisiana. The battery spiked its guns and surrendered at Meridian, Mississippi on May 11, 1865. Arkansans of note during the American Civil War include Confederate Major-General Patrick Cleburne. Considered by many to be one of the most brilliant Confederate division commanders of the war, Cleburne is often referred to as “The Stonewall of the West.” Also of note is Major-General Thomas C. Hindman, a former United States Representative, who commanded Confederate forces at the Battle of Cane Hill and Battle of Prairie Grove. Although Arkansas sided with the Confederacy, not all Arkansans supported the Confederate cause. Beginning with the fall of Little Rock to Union forces in 1863, Arkansans supporting the Union formed four infantry regiments, four cavalry regiments, and an artillery battery to serve in the United States Army. Additionally, six infantry regiments and one artillery battery of African Descent were attributed to the state. Later these units that were originally designated as the “1st-6th Arkansas Volunteers of African Descent” were re-designated as the 46th, 54th, 56th, 57th, 112th and 113th United States Colored Troops. In the fall of 1861, Confederate and State authorities became increasingly concerned about a shadowy organization in north-central Arkansas known as the Peace Society. The Peace Societies were largely union sympathizers who felt that the large slaveholding planters of southern Arkansas and the deep South had caused the war; they felt that they should be required to bear the burden of the conflict. Governor Rector ordered the 45th Arkansas Militia Regiment (Searcy County) to round up suspected Peace Society members in Searcy and Van Buren counties. The militia spent the next few weeks identifying and apprehending suspected Peace Society members throughout the mountains of north-central Arkansas. Finally, in mid-December, the regiment “escorted” their prisoners to Little Rock, where most of them were forced into Confederate service. After meeting the requirements of Reconstruction, including ratifying amendments to the US Constitution to abolish slavery and grant citizenship to former slaves, Arkansas’s representatives were readmitted to Congress. The state was fully restored to the United States on June 22, 1868, becoming the second former Confederate state to gain readmission to the Union, but the first since Tennessee was readmitted in July 1866. ^ “Neither Arkansas nor Missouri enacted legislation to adopt an official State flag” (Cannon 1994, p. 48). ^ “1860 Presidential Election Results Arkansas”. ^ Edward G. Gerdes Civil War Page, Borlands Regiment, accessed October 1, 2010, “Archived copy”. Archived from the original on July 16, 2011. Retrieved 2011-02-05. CS1 maint: Archived copy as title (link). ^ Key, Thomas (April 10, 1864). “Diary entry”. Arkansas. Retrieved March 8, 2016. ^ Harry, Smith. “Arkansas Army and Air National Guard, a History and Record of Events, 1820–1962”: 4. ^ A thorough analysis of the Military Board may be found in Leo E. Huff, “The Military Board in Confederate Arkansas”, Arkansas Historical Quarterly, XXVI (Spring 1967), pp. 75–95. ^ Joslyn, Maurial P. (January 1996). ““For Ninety Nine Years or the War” The Story of the “Third Arkansas” at Gettysburg”. The Gettysburg Magazine (14). Archived from the original on April 22, 2004. Retrieved June 17, 2015. ^ a b Huff, “Military Board”, pp. 82–84. ^ a b “Action at Whitney’s Lane”. Encyclopedia of Arkansas History & Culture. Retrieved May 19, 2016. ^ “Arkansas Confederate Regimental Histories”. Internet Archive Wayback Machine. Archived from the original on December 12, 2007. Retrieved May 24, 2012. ^ Doyle Taylor, “Re: Artillery Transfers”[permanent dead link] Arkansas in the Civil War Message Board, Posted 16 May 2004, Accessed 17 December 2012. ^ Newberry, Farrar. “Harris Flanagin.” Arkansas Historical Quarterly 17 (Spring 1955): 3–20. ^ Mark K. Christ (December 31, 2010). “Battle of Arkansas Post”. Encyclopedia of Arkansas. Retrieved June 15, 2013. ^ Bearss, Edwin C. “The Battle of Helena, July 4, 1863”, Arkansas Historical Quarterly, Autumn, 1961, Vol. 20. ^ “Phelps, John Smith”. Biographical Directory of the United States Congress. Retrieved September 18, 2005. ^ Bearss, Edwin C. Steele’s Retreat from Camden and the Battle of Jenkins’ Ferry. 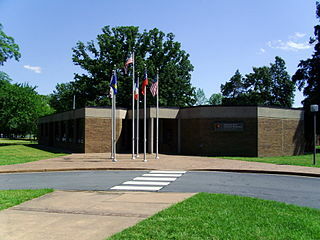 Little Rock: Arkansas Civil War Centennial Commission, 1967. ^ “Action at Ashley’s Station”. Encyclopedia of Arkansas. November 18, 2014. Retrieved June 17, 2015. ^ Sinisi, Kyle S. The Last Hurrah: Sterling Price’s Missouri Expedition of 1864 (Lanham: Rowman & Littlefield, 2015.) xviii, 432 pp. ^ Howerton, Bryan R., “Jackson Light Artillery (Thrall’s Battery)”, Edward G. Gerdes Civil War Page, Accessed 30 January 2011. ^ Howerton, Bryan, “1st, 2nd & 3rd Consolidated Arkansas Infantry Regiments”, Arkansas in the Civil War Message Board, Posted 26 July 2011. ^ Howerton, Bryan, “Re: 17th/1st/35th/22nd Arkansas Infantry Regiment.”, Arkansas in the Civil War Message Board, Posted 26 October 2011, Accessed 26 October 2011. ^ Howerton, Bryan R. “Re: Jacksonport 1865 surrender list?” Archived April 6, 2012, at the Wayback Machine, Arkansas in the Civil War Message Board, Posted 1 January 2004, Accessed 1 January 2012. Cannon, Jr., Devereaux D. (1994) [1st pub. St. Luke’s Press:1988]. The Flags of the Confederacy: An Illustrated History. Gretna: Pelican Publishing Company. ISBN 978-1-565-54109-2. “Arkansas Civil War flags”. C-SPAN. March 7, 2012. Bearss, Edwin C. (1967). Steele’s Retreat from Camden and the Battle of Jenkins’ Ferry. Little Rock, Ark. : Pioneer Press. ISBN 0960225-5-1-X. LCCN 67-18271. “Civil War battle flags at the Old State House Museum”. C-SPAN. March 19, 2002. United Confederate Veterans. Arkansas Division (November 1907). Confederate Women of Arkansas in the Civil War 1861-’65: Memorial Reminiscences. Little Rock, Ark. : H. G. Pugh Ptg. Co. LCCN 08025734. OL 23290382M. O’Donnell, William W. (1987). The Civil War Quadrennium: A Narrative History of Day-to-Day Life in Little Rock, Arkansas During the American War Between Northern and Southern States 1861-1865 (2nd ed.). Little Rock, Ark. : Civil War Round Table of Arkansas. LCCN 85-72643 – via Horton Brothers Printing Company. Simon, Donald J. (Summer 1967). “The Third Minnesota Regiment in Arkansas, 1863-1865” (PDF). Minnesota History. Minnesota Historical Society Press. 40 (6): 281–292. JSTOR 20177888. Retrieved July 2, 2018. Woods, James M. (1987). Rebellion and Realignment: Arkansas’s Road to Secession. Fayetteville: The University of Arkansas Press. ISBN 0-938626-59-0.